Our Team - SANDY HILLS HUNTING CO. I was raised ON THE EASTERN PLAINS OF COLORADO AND IF THERE'S one thing I'm passionate about IT's locating, MANAGING, AND harvesting mature MULE DEER AND ANTELOPE. Each year we harvest a number of great animals strictly because of our dedication and preparation. we understand your time is limited, so we spend ours scouting to ensure you have excellent opportunities once you arrive. As a young boy, i spent much TIME AFEILD WITH MY FATHER HONing MY SKILLS AND DEVELOping A STRONG PASSION FOR the outdoors. his patience and understanding afforded me the opportunity to join him ON various hunts and STALKS. I'M certain I MESSED THINGS UP PLENTY, but HE still encouraged my involvement. quickly, i acquired many of the skills necessary to become a successful bowhunter. years later, I decided to become a guide and immediately realized I truly enjoy helping others reach their hunting goals. Since 2004, guiding has led me to many great places, such as SONORA MEXICO, NEW MEXICO, Wyoming, Nebraska, and of course Colorado. In 2014, i decided to form my own company and created Sandy hills Hunting company; A program comprised of professionals and dedicated to a quality, not quantity approach. we limit hunts to ensure the hunts we do offer give our clients honest potential. we Thank you for taking the time to visit our website, and for considering us on your next adventure. TIM GREW UP IN A SMALL TOWN IN EASTERN COLORADO, SO IT'S ONLY NATURAL THAT HE IS ADDICTED TO THE OUTDOORS. BEING RAISED BY A FAMILY WITH GREAT PASSION FOR HUNTING REINFORCED TIM'S OWN DESIRE TO HUNT AND EVENTUALLY GUIDE. WHETHER HE IS ALONG ON A HUNT OR ALLOWING SOMEONE TO COME ALONG, HE UNDERSTANDS THE VALUE OF TEAMWORK. " TEAMWORK IS CRITICAL ON ANY HUNT, BUT ESPECIALLY ON A SPOT AND STALK HUNT. FOR ME, THERE'S NOTHING QUITE LIKE GETTING CLOSE TO A BIG, MATURE MULE DEER " TIM HAS HUNTED AND GUIDED NUMEROUS SPECIES ACROSS MANY DIVERSE LANDSCAPES. HIS KNOWLEDGE AND EXPERIENCE ARE SECOND TO NONE AND WE COMMEND HIM FOR BEING AN ETHICAL AND RESPECTFUL GUIDE. TIM'S PASSION FOR HUNTING, GUIDING, AND THE OUTDOORS IS CERTAINLY CONTAGIOUS. OUR CLIENTS FIND SPENDING TIME WITH HIM IS AN ENJOYABLE EXPERIENCE. CASEY WAS RAISED IN EASTERN CO AND IS THE SON OF A GAME WARDEN. HIS BACKGROUND HAS PRESENTED HIM WITH A WEALTH OF OPPORTUNITY TO HUNT AND FISH. 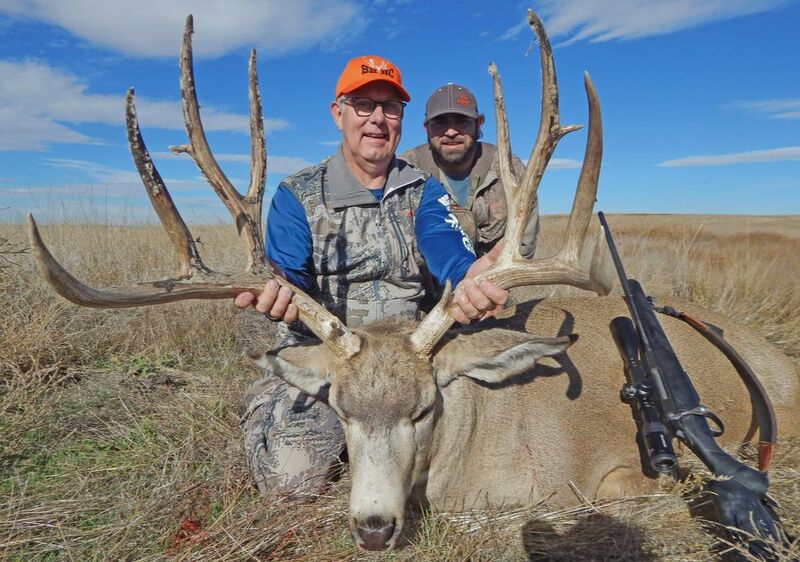 "I HAVE HAD THE EXPERIENCE OF HUNTING ALL OVER AND HAVE BEEN GUIDING SINCE I WAS 21." ALTHOUGH CASEY WORKS IN THE OFF SEASON, EVEN IF HE DOESN'T HAVE A HUNTER IN CAMP HE IS ALWAYS ASSISTING WITH A HUNT IN ANY WAY POSSIBLE. "JEREMY AND I STARTED HUNTING TOGETHER WHEN WE WERE YOUNG KIDS AND HAVE TRAVELED TO MANY PLACES HUNTING TOGETHER. JEREMY IS THE BEST HUNTER I HAVE EVER MET... I'M CONSTANTLY LEARNING SOMETHING NEW FROM HIM." 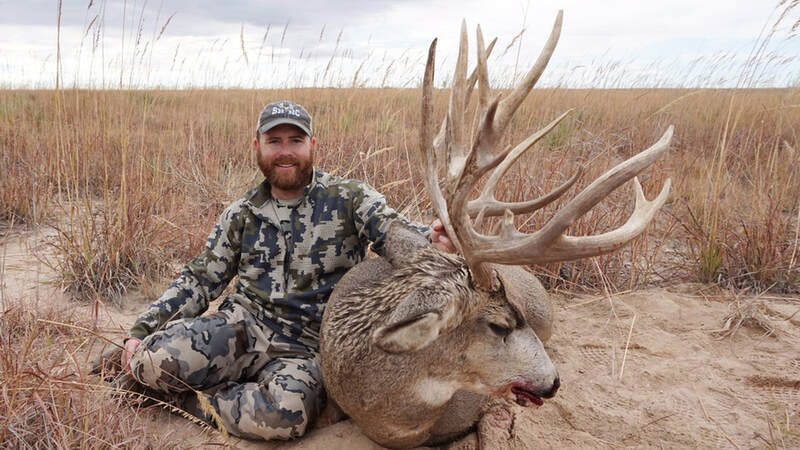 CASEY'S PASSION FOR SHARING THE EASTERN PLAINS, A GIANT ANTELOPE, OR A BIG MULE DEER BUCK WITH SOMEONE OF A DIFFERENT HUNTING BACKGROUND IS WHAT KEEPS HIM EXCITED. "THERE'S NOTHING LIKE TAKING SOMEONE ON THEIR NEXT HUNTING ADVENTURE." NEIL IS THE MOST RECENT ADDITION TO SHHC, BUT HE'S NO STRANGER TO THE EASTERN PLAINS OR BIG GAME HUNTING. HE CONTRIBUTES HIS PASSION LARGELY TO BEING RAISED IN A RURAL RANCHING ENVIRONMENT AND THE TACTILE EXPERIENCES OF HIS YOUTH. NEIL HAS HUNTED NUMEROUS SPECIES DOMESTICALLY AND INTERNATIONALLY AND UNDERSTANDS THE IMPORTANCE OF SHARING KNOWLEDGE, EXPERIENCE, AND CULTURE. "THERE'S SOMETHING ABOUT EXPERIENCING A NEW PLACE, A NEW CULTURE, AND A NEW HUNT, BUT THE HUNT ALWAYS BRINGS PEOPLE TOGETHER." AND WHILE NEIL MAY HAVE A LOT TO OFFER ANY CLIENT, HE'S ALWAYS LOOKING TO BENEFIT FROM THE KNOWLEDGE AND EXPERIENCES OF OTHERS. Neil is also our web developer/IT guy and graphic designer. WE ARE FORTUNATE TO HAVE SUCH A TEAM OF PROFESSIONALS, AND NEIL IS CERTAINLY NO EXCEPTION.